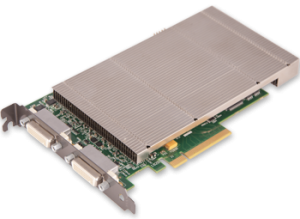 A wide range of applications demand multiple channels of video capture from a single card. Markets include advanced medical and machine vision capture, military applications and security/ surveillance systems. Suitable for these markets and others Datapath's VisionSC-HD4+ audio video capture card provides an outstanding, powerful solution for multiple HDMI or DVI video capture with support for HDCP. The VisionSC-HD4+ has four channels of HDMI 1.4, two supporting 297MHz (3840x2160 at 30 fps) and two supporting 165 MHz (1920x1080 at 60 fps), all operating independently of each other. This enables four separate four video sources to be captured and controlled simultaneously. The card also has embedded audio support across all four channels. The VisionSC-HD4+ is shipped with adapter cables for either HDMI or DVI. Power Requirements Max current at +3.3 - 0.45A.